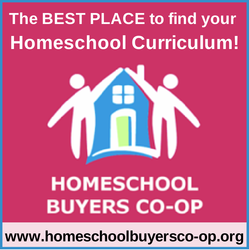 ‘Tis the season for homeschool holiday deals! Top 20 deals for the 2016 season. Creative maker projects for kids! Build projects designed to help you gain the confidence you need to be a successful maker. Design a robot, build a device to collect important environmental data, or design your own creative electronics project, and have a lot of fun while doing it. Use the code FREESHIP and get free U.S. shipping on all orders. ABCmouse.com is a full online curriculum for children ages 2-7. They can play games while learning about reading, math, science, art & colors. There are more than 650 lessons across 8 levels. With step-by-step learning, as your child completes each lesson, he or she is guided to the mext one and is motivated to continue learning by using the tickets and reward system. Marbles is a one-of-a-kind specialty store with a collection of hand-picked, expert-tested, certifiably fun ways to build better brains. The games are designed to let your kids roll up their sleeves and get a little brainy while playing games and solving puzzles. 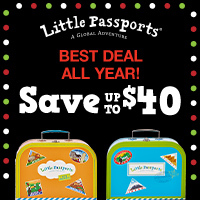 With Little Passports, students can explore the world, one country at a time, with this fun and educational subscriptions. It’s easy to integrate their monthly packages with your geography or social studies curriculum. Each month, you’ll receive a new themed package filled with letters, stickers, activities & more. Makeblock is an open source construction platform that turns your ideas into reality. No matter what youridea is and however impossible it looks, Makeblock will make it possible by providing various mechanical parts and electronic modules. Characterized as open, fun, and creative, Makeblock has become one of the best intelligent hardware companies that strive to make differences. The Discount School Supply website offers a wide variety of educational content for teachers and parents at the lowest possible price. Right now, they are offering even more savings on dramatic play items and infant and toddler toys. Carson-Dellosa’s Spectrum practice workbooks series is trusted by teachers and parents. The method teaches and reinforces concepts as students progress towards master. The Spectrum series provides focused skill practice in math, language arts, science, social studies, and more. Tinker, create & innovate! Hands-on fun that encourages creativity and curiosity in children. 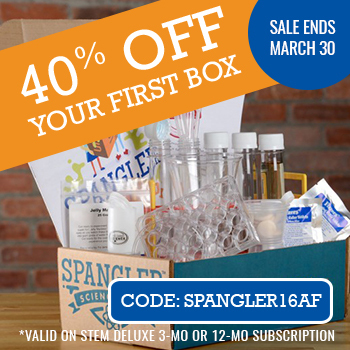 Each month, you’ll receive a new package filled with activities designed for the next generation of scientists, artists and makers. Koala crate is perfect for preschoolers, ages 3-4. Kiwi Crate is designed for young innovators, ages 5-8. Doodle Crate art and design for ages 9-16. 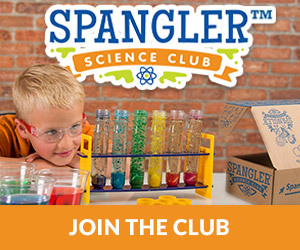 Tinker Crate science and engineering for ages 9-16. Use code GIFT60 (Valid 11/14 – 11/21). Zoobooks Magazine is perfect for animal loving kids. It’s the everything-you-wanted-to-know-but-didn’t-know-where-to-look children’s resource for animals. Each Zoobooks explores the anatomy, habitat, socialization, and ecological role of a single animal or animal group in a vibrant, easy-to-understand way. Zootles is for younger readers, 3 to 6 years old. Zoobies is for the littlest learners, 0 to 3 years old. Zoobooks is for kids 6 to 12 years old. New! Zoodinos is perfect for the dinosaur lover, kids 5 and up. Homeschoolers are included to save at Scholastic Teacher Express! You can shop guided reading programs, collections, activity books, teacher resources and more on Scholastic’s website. 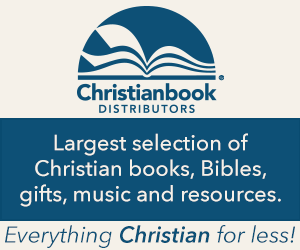 Christian Book is a distributor of homeschool curriculum, music, toys, games, books, movies, gifts, supplies, jewelry, and more. They’re offering some great deals this holiday season, beginning with their Pre-Black Friday deals, set to expire 11/21. Amazon has compiled a holiday toy list for 2016. Watch for Cyber Monday deals at Amazon, the Monday after Thanksgiving (11/28). They have a great list of Tech Toys, STEM Picks, Top 100 Toys, Kid Picks, Active Play, Family Game Night, Craft & Create, and more. They’ve made it as easy and fun as possible to find the top gifts and toys for holidays. Stick Figure Through the Bible with GrapeVine Studies. Young students learn the major characters and events through hearing the Bible, stick figuring the passage, and answering questions about lessons. Once students reach first grade, they are introduced to the timeline of biblical characters and events. With each progressive age, they introduce students to more Scripture, basic Bible geography, and how to use Bible study skills such as a Bible dictionary. 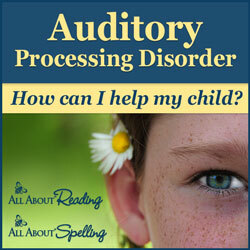 Educents is an online marketplace for educators, homeschoolers and parents alike. You can find curriculum, books, science kits, supplemental materials and more with great prices to boot. This holiday season, you can join the Magic School Bus science club at half price! Find some amazing deals up to 97% off! Use code GIVETHANKS. The magazine for homeschool parents! Don’t forget yourself this holiday season. The Old Schoolhouse magazine gives you tips, advice and encouragement when you need it most. Available in print, online, and as an app for your phone or tablet. Educents is having a pre Black Friday sale to get the holiday shopping season started early. 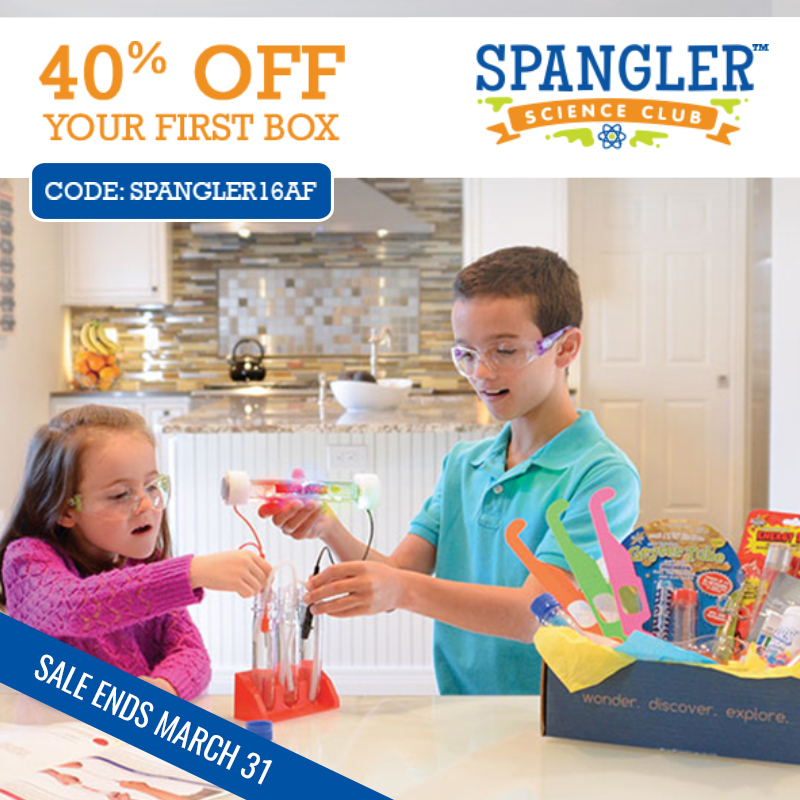 Join the Magic School Bus science club at half price! 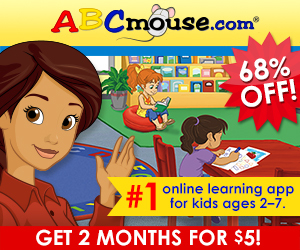 Try ABCmouse.com for free for 30 days! Find some amazing deals up to 97% off! Use code GIVETHANKS for an extra 10% off + FREE SHIPPING + 5% back on every order.